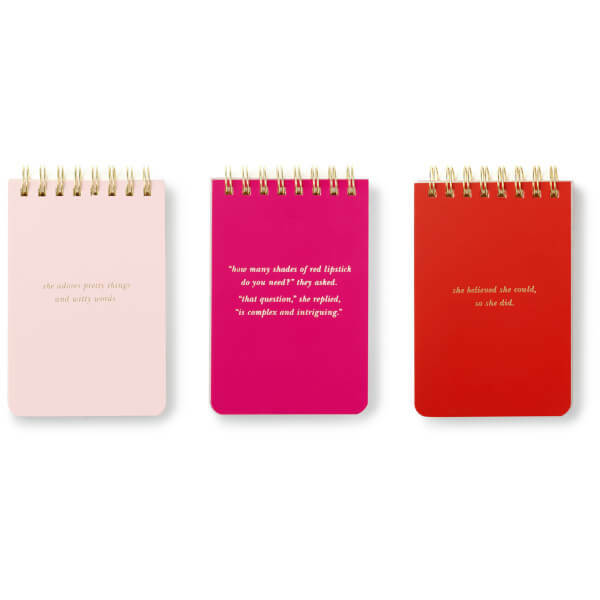 Treat yourself or a stationery fan to the Set Of 3 Kate Spade Spiral ‘She Statements’ Notepads. Pick one for your handbag, one for home and one for work, each has a gold spiral binding and 75 lined pages. Each notepad has an attractive cover in blush pink, orange and fuchsia, and each has a quirky phrase in gold foil that girls will understand. The pretty set will make a fun and colourful addition to a stationery collection and ensure that you always have stylish writing material for the essential shopping or to-do lists.